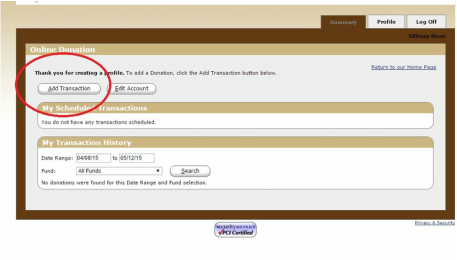 How to make a donation on Simply Give. Step 2. Donations & Education. In your home screen, on Simply Give. 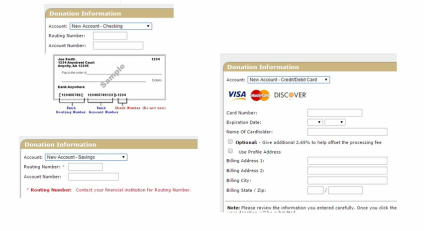 select the "Add Transaction"
There are two choices: Donations & Education Registration. Enter the amount of your contribution(s) in the boxes. You can donate any amount. The choices are General Operating or Building/Mortgage. 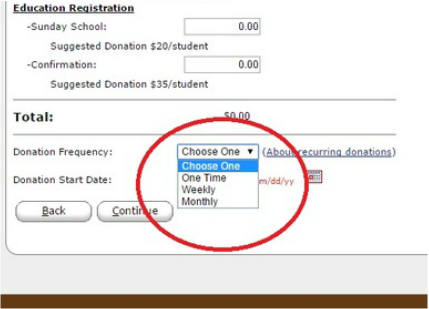 After placing your donation, select your frequency. There are three options; One time, Weekly, or Monthly. One time donation. There are select dates that allowed to donate on, 1st & 15th. Weekly donate, starting every Monday. Monthly donate, every month, 1st & 15th. Select the account you would like to use. There is Checking, Saving, and Credit/Debit cards. Once you have selected your payment option. Fill out your information. *There is an option to pay for the processing fee. For more help, Contact OFLC office.